The internet is an incredible source of free resources also for sports scientists. I am a happy owner of a Nokia N95 8 Gig Mobile Phone. One of the features of this mobile phone is an internal GPS with aGPS support. 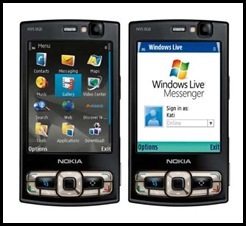 The smartphone runs the operating system Symbian S60 3.1. Nokia offers a lot of free software packages for the smartphone. One of the most useful tools I installed few months ago is Nokia Sports Tracker. 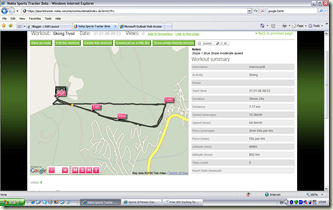 Nokia Sports Tracker is a GPS-based activity tracker that runs on Nokia smartphones. 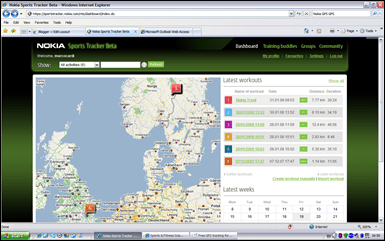 Information such as speed, distance and time are automatically stored in a training diary. Supported Nokia Models are available here. Ideally an athlete can just wear the mobile phone and perform the training session planned and record all data. This software can be used not only with Mobile phones with an integrated GPS but also with the ones with the possibility of using a Bluetooth GPS device. 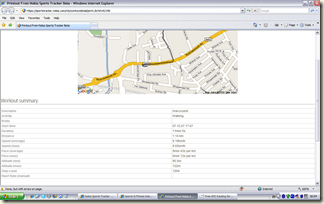 Nokia of course provides also some options for GPS receivers. The software is great. With simple downloads directly from the Mobile it is possible to view all details of the activities performed and tracked and analyse all data and also map them. Last but not least, it is possible to download the workout as a KML file and import it on Google Earth to visualise the route on satellite-generated maps. The integrated camera in most Nokia phones will also allow to associate pictures with GPS data, so when the info is downloaded key pictures can be visualised and associated to GPS data. If you want to find out more about this, specific information on how to combine the two features are described very well on Jennifer Hanen’s blog. 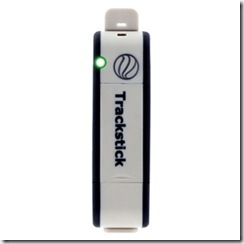 This is a fantastic tool, I have used it in various locations around the World and it works extremely well. So, if you have a Nokia Mobile compatible with Sports Tracker make sure you start making good use of your GPS! Christmas is fast approaching, so it is time to think about presents. I came across a couple of interesting gadgets which could have some useful applications for sports scientists. The first one is a GPS tracking device which looks small and portable and can be integrated with Google Earth. I don’t know the reliability and the accuracy of the system nor the sampling frequency, however this is something that could be easily tested and maybe it’s a little project I will undertake in the next few months. The second gadget is an activity monitor (don’t we all love to know how much we move?). You can view calories, steps and distance on the Fitbit Tracker software. 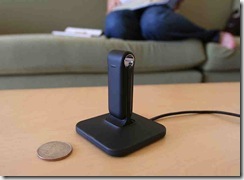 Interesting concept with simple small technology and what looks like a user-friendly software. Again, I am not aware of reliability and accuracy and validity data, but, if it works, it is a promising tool at least to determine general energy expenditure and activity patterns, maybe useful in athletes that are injured and cannot train intensively to be able to adjust the diet and avoid gaining some excess weight. I have no conflict of interest and no relationship with the above mentioned companies/products.